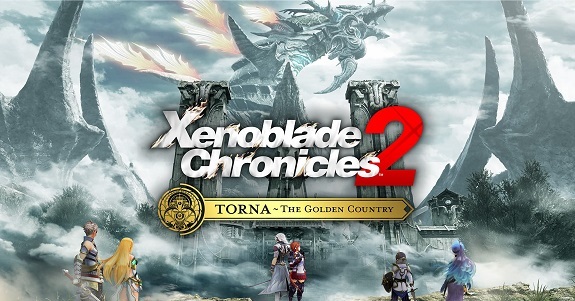 During the Nintendo Treehouse Live livestream on June 14th, Nintendo shared some more details about Torna~The Golden Country, the story DLC for Xenoblade Chronicles 2. If you’ve read our post about the latest Production Notes blog post from Tetsuya Takahashi, then you already know that the battle system is slightly different than in the main game. One of the biggest changes was shown right at the beginning of the presentation: by pressing Up on the control pad, you can switch between your Driver and the various Blades you have. Each character has its own Switch art, triggered when you switch them in. In other words: you can play as both Blade and Driver thanks to an even more refined battle system. You can switch between the two, which can be used to make combos: Break > Topple > Launch, etc…. just like in Xenoblade Chronicles 2, instead this time you can complete the full sequence on your own. At the bottom of the screen, at the center of the Art palette, you can see the element you’re currently using for your attacks. The Characters screen has also changed a fair bit, and allows you to enhance arts for both Drivers and Blades. Each Blade / Driver has its own set of Vanguard and Rear Guard art. craft items: characters can all make different things (including cookings). Speaking of crating, you no longer have to craft Aux Cores: those are now dropped directly by enemies! chat: you can chat with characters. The discussions you get depends on who is your party. They work kind of like the Heart to Hearts. Also, a key element from Xenoblade Chronicles is back: the Talent Arts. For example, Lora has Swallow’s Flight: it allows her to sacrifice some HP in order to charge all her arts immediately. Story-wise, we “learn” that Jin cares a lot about Lora: that’s because she bonded with him as a kid, and they’ve been together ever since. Therefore, it’s no wonder the bond they share is extremely strong. During the segment, we got to see Mikhail as a kid. Jin and Lora are trying to get to a town, to meet up with Haze (another of Lora’s Blades). But there’s a problem: said town has been destroyed, seemingly by Malos. At that point, a boss battle is triggered, with Jin and Lora having to defeat a Gargoyle. After that, Addam and Mythra show up, and Jin and Lora also fight them. Once defeated, they join their party. An interesting detail about Addam is that he can change the element of his weapon, though he does need a specific item to do so. Finally, we learn that you get to return to Gormott in Torna~The Golden Country, but obviously, things are quite different as the game takes place 500 years in the past. But as explained by Tetsuya Takahashi, the world of the game is self contained, and you cannot travel to all other Titans. Xenoblade Chronicles 2: Torna~The Golden Country (Switch) comes out on September 14th for owners of the Expansion Pass, and September 21st at retail.